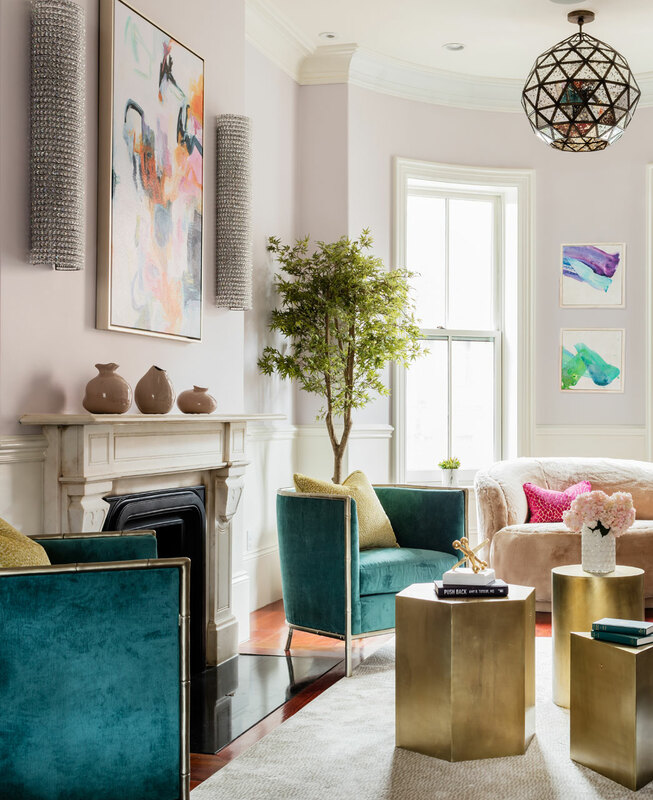 This lovely condominium located in a Boston South End brownstone merges contemporary design with bold, and quirky elements that reflect the owner’s personal style. Neutral walls lend softness to the rooms and allow the vibrant hues of the fabrics to stand out. 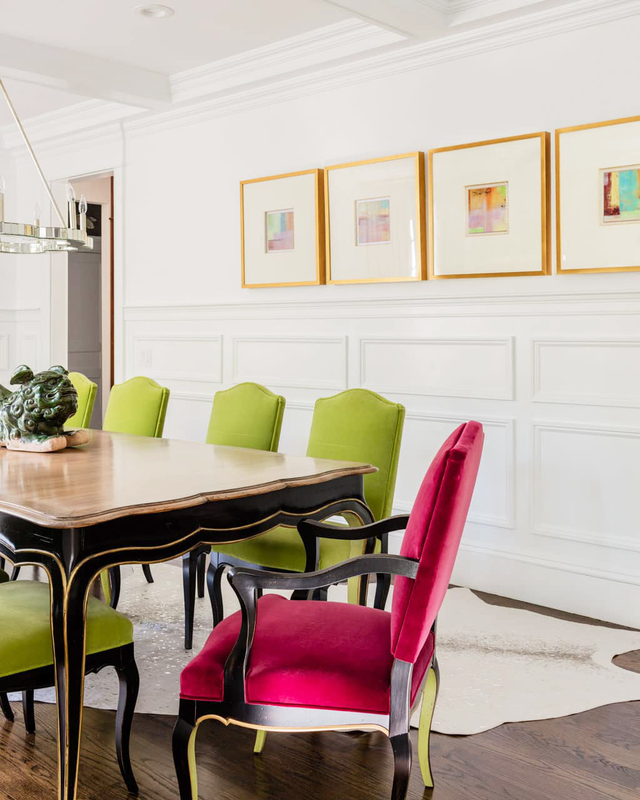 Strategic pops of color, graphic art, and mixed metals create a space that comfortably accommodates large gatherings.